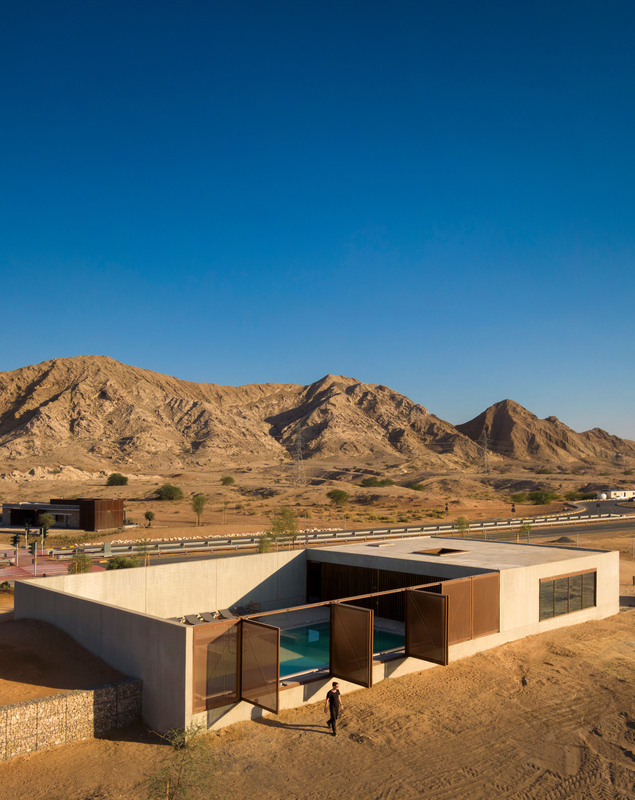 “Desert conditions present extreme heat in summer with intense and prolonged sun exposure so it is important to consider these factors when first designing the form and mass of the building,” explained Jonathan Ashmore, founder and principal of Anarchitect, which has offices in Dubai and London. 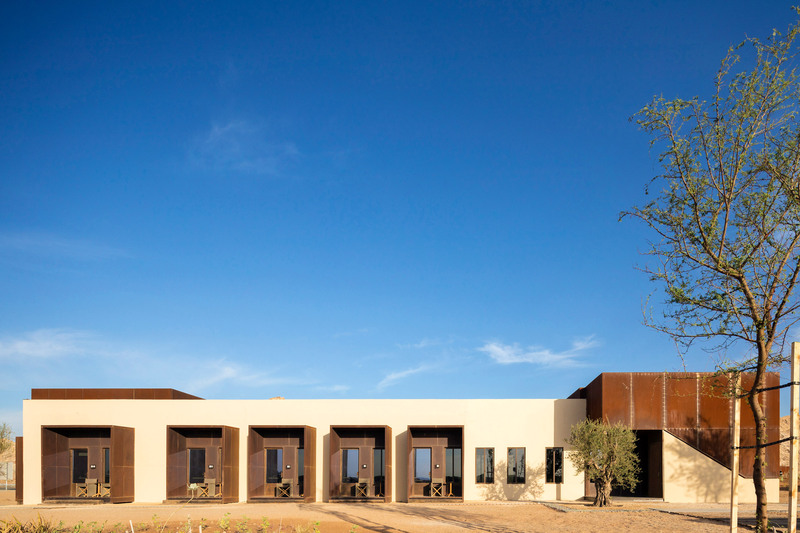 Each room in the Al Faya Lodge has its own star-gazing skylight, and the master suite has its own private roof terrace. The hotel is designed to be booked in out in its entirety so guests can enjoy the spa and pool in private. 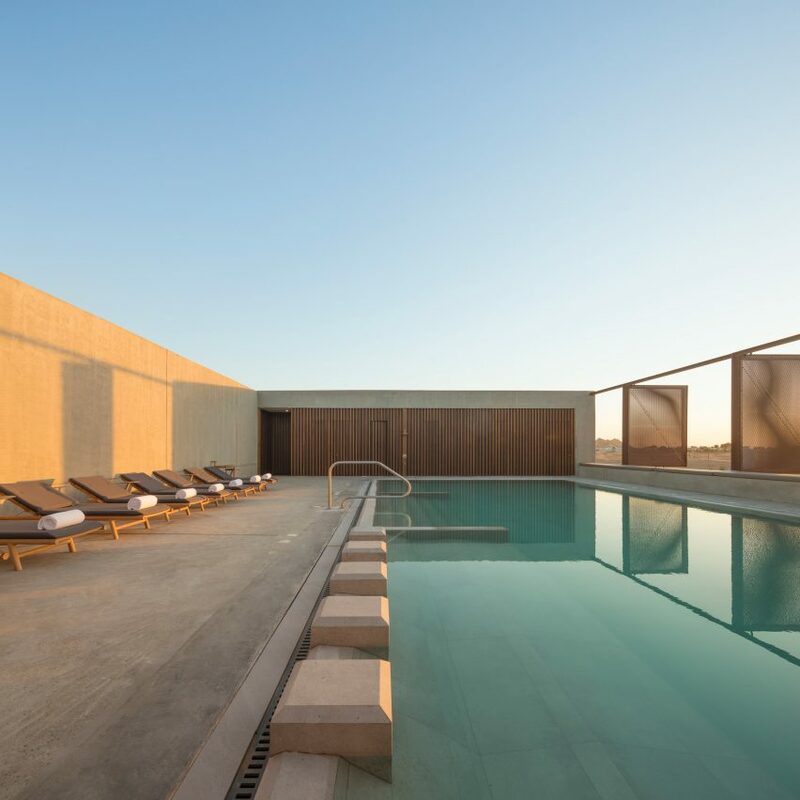 The hotel also has a reception area, a dining room, and an outdoor terrace with a fire pit. 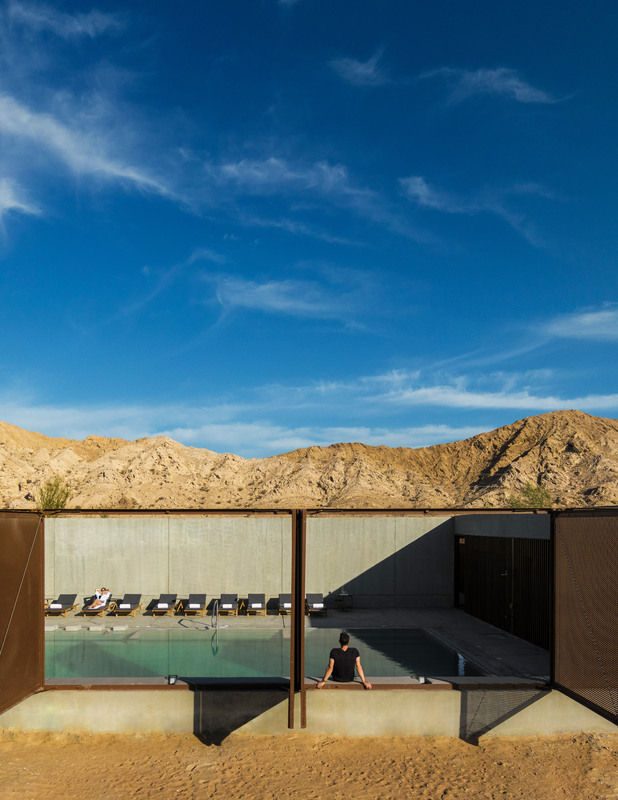 Dramatic desert landscapes with open skies and harsh climates have inspired many contemporary architects to design strong forms that make use of local materials. 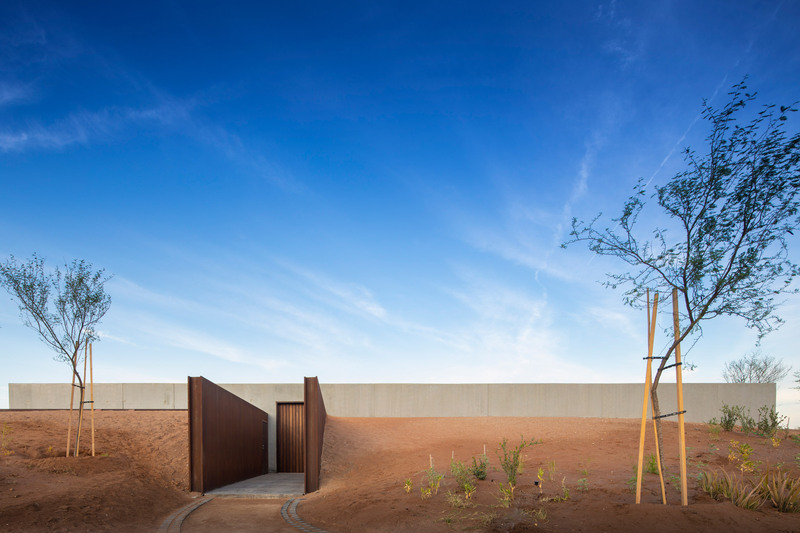 Barclay & Crousse used local stone and reddish cement for a clifftop villa that blends in with the Peruvian desert, and The Ranch Mine built a house in the Arizona desert that pays homage to the work of artist Georgia O’Keefe. 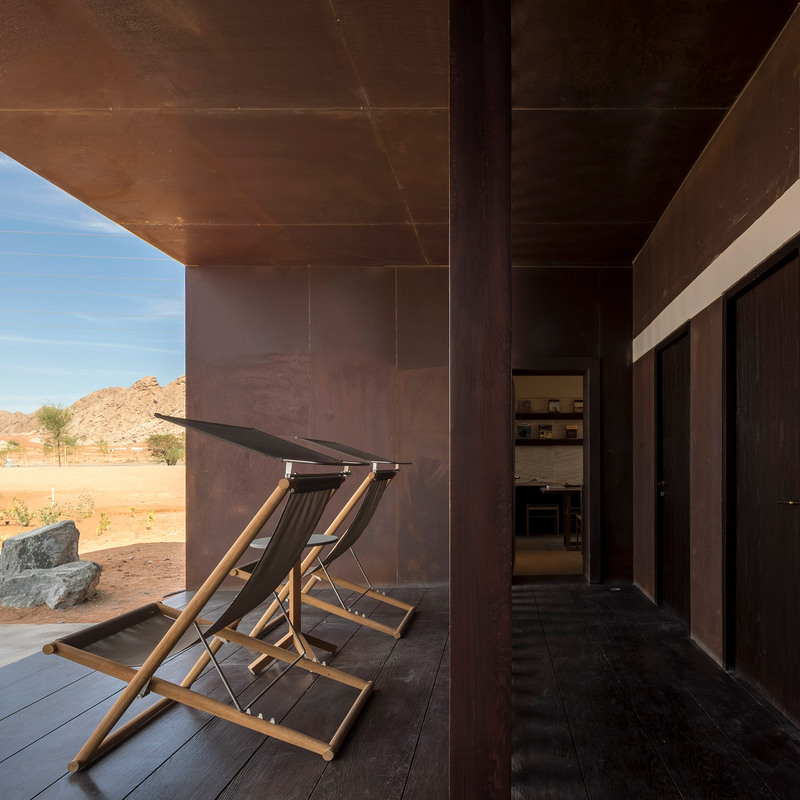 The post Al Faya Lodge by Anarchitect is a desert spa and hotel made from stone and steel appeared first on Dezeen.